This smart chess board from Square Off has anything that a modern day chess player need. 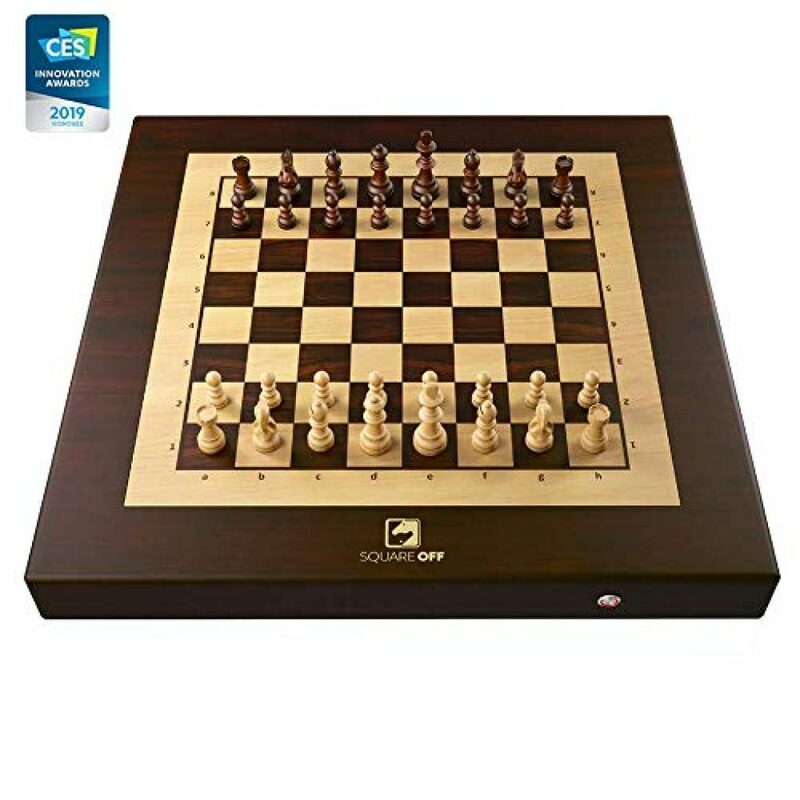 With this board you can play a regular chess game versus a regular physical opponent. But where it gets special is playing against anyone in the world (via chess.com) while having the physical chess pieces follow your opponent’s moves accordingly. It’s like Harry Potter’s Wizard Chess in real life! How does the Square Off Smart Chess Set Work? This board uses advanced robotics and sensors to have the chess pieces move automatically. It’s connected to the largest chess website chess.com (with over 23+ million players). Alternatively you can play a game against the board’s internal A.I., with 20 levels of difficulty to choose from. Use the app to further analyse your game and improve your chess playing. Go heads up against 20 levels of A.I. This is an ideal chess set for advanced chess players and people that don’t have a human opponent around to play a game against. The Square Off Chess Set is available on Amazon via the link below. No opponent? We got this! Play against the built-in artificial intelligence. Choose from 20 difficulty levels of AI. Programmed for a complete novice to a Grand master!